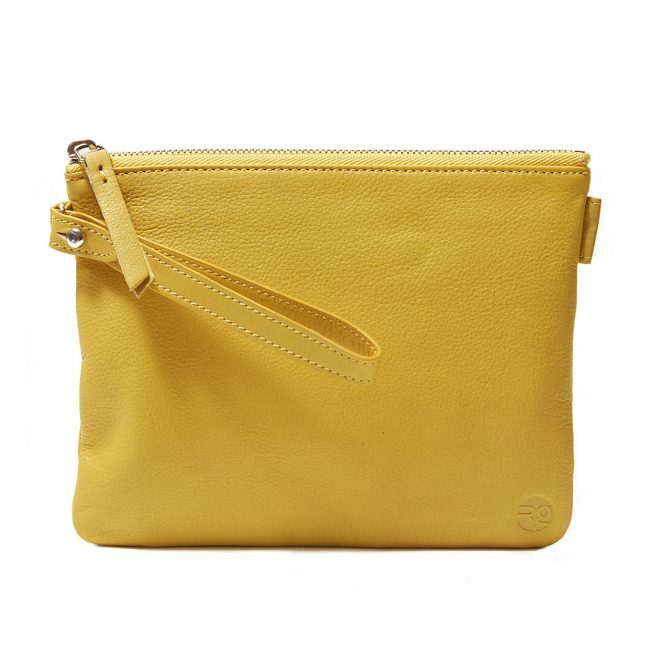 A slim zippered pouch with a removable wrist strap. Perfect for keeping make-up and other essentials together when out and about. Swiss made Riri zip and twin ‘grab-tabs’ for smooth and positive opening and closing.